Sensationalist headline? But look, it’s true! 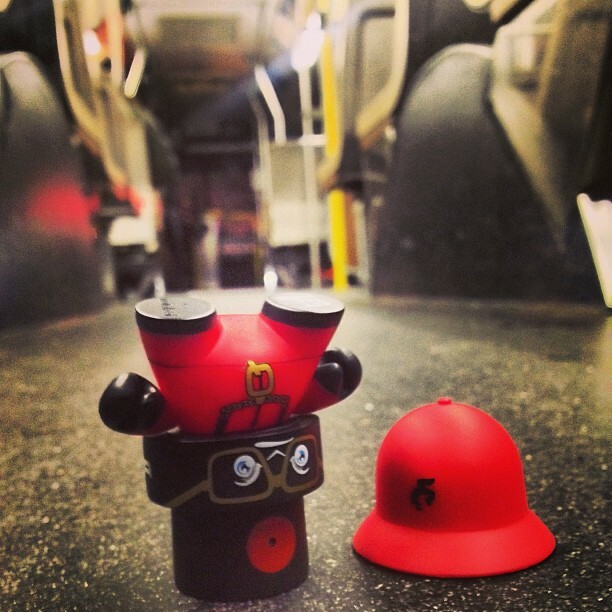 As SFOcon, a self-proclaimed “modern day carney,” notes, “What else would you do on an empty 31-Balboa Muni bus besides a headspin”? 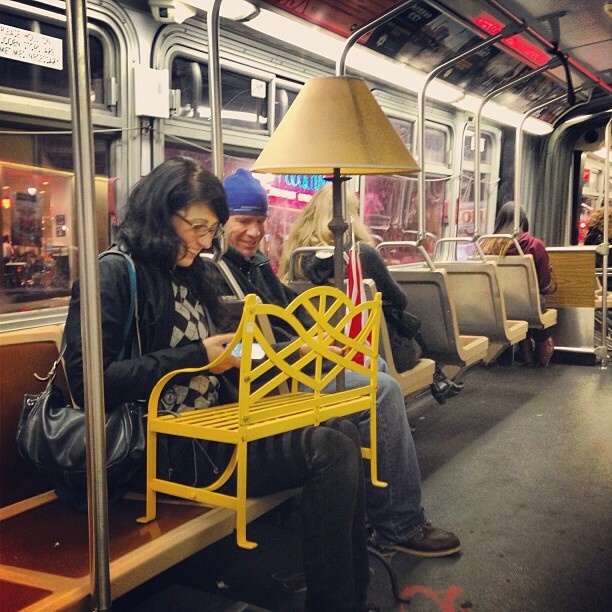 The newest addition to our long-running Muni Strange Cargo report: miniature bench and a regular-size lamp. A Craigslist used-furniture shopping trip, perhaps? 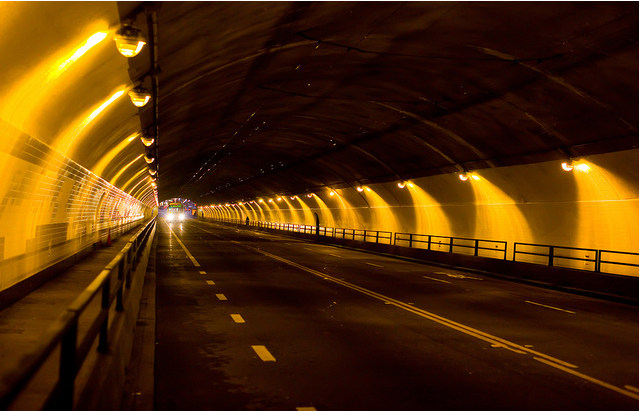 Somehow, under Thomas Hawk’s lens, the Stockton tunnel looks cleaner, shinier, and more mysterious. Today’s weekend photos also feature a cozy bear and a couple of well-dressed gentlemen. A few nights ago I was walking around Chinatown and saw a Muni driver get out of the bus at a red light with a teenager who must have been a tourist. The driver looked out for traffic at the intersection so the kid could take a photo of the Transamerica building. Moments like this really make me happy to live here, and to share our site with everyone who rides the bus. Enjoy the first batch of beautiful weekend photos of 2013! Everything looks better in black and white, don’t you think? 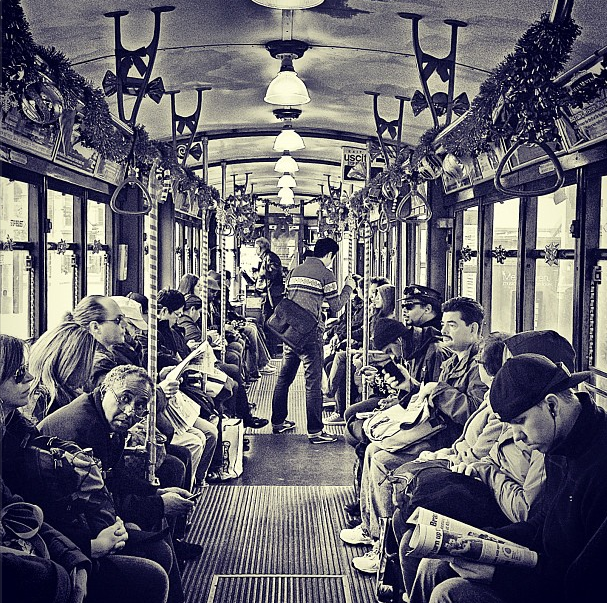 Today’s weekend photos feature some pretty amusing Muni riders, especially one funny caption by @katrinawlui below. Enjoy these photos and your weekend! On Muni, Bring Your Own Chair. Lots of Them. Muni newbie lesson number one: that clear liquid on your seat? It’s not water. 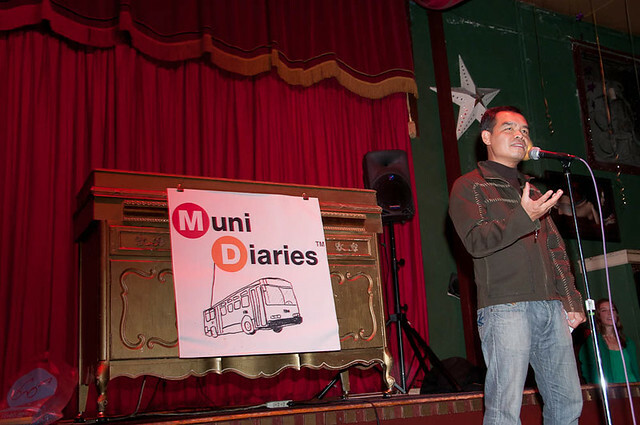 So what do experienced Muni riders do? Bring your own seats, of course. 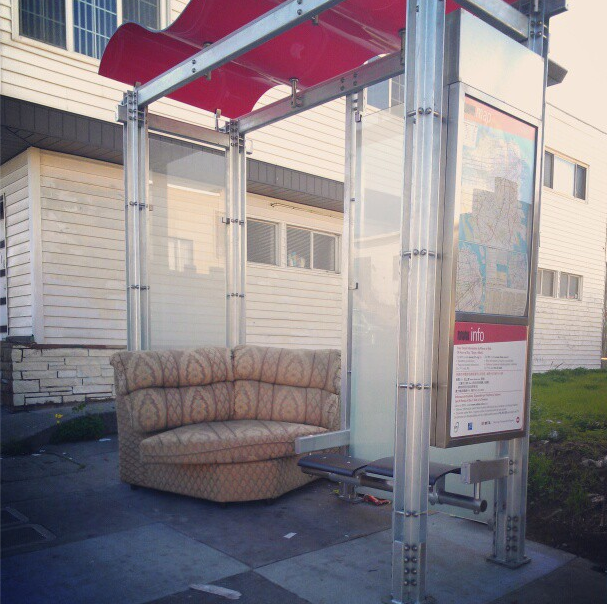 While running Muni Diaries from our living rooms the last few years, we have seen so many DIY seating submissions that I had to put them all together here just for pure amusement.